The country’s civil war is making it difficult for people with serious illnesses and injuries. Resham Kiani reports. Your local hospital has been bombed. You’re sitting in a waiting room when suddenly masked men run in and take your doctor away for questioning. This sounds like something from a film but it is real for many Syrians. Hospitals in Syria are attacked regularly. And doctors and nurses who are helping the wounded patients are often seen as ‘traitors’. Dr Ayman Jundi is a Syrian doctor who now lives in Britain. He says that a doctor in Homs was arrested for writing a death certificate after a man was shot in the head. He says that sometimes doctors are taken away when they are seeing patients and then tortured. The attacks on hospitals and staff have been very bad for Syria’s medical system. About 60 per cent of hospitals have been destroyed or seriously damaged since the war started. Many doctors and nurses are leaving Syria. UN Emergency Relief Co-ordinator Valerie Amos explained that it is also very difficult to get medical supplies into Syria. She spoke to the UN Security Council in New York and said there are perhaps 2,000 armed opposition groups in Syria. Fighting between these groups is very common. And it is now impossible to use some of the important roads for aid because of the fighting. All of this means that there are now very serious problems for Syria’s hospitals. Patients with serious illnesses have nowhere to go, and serious diseases are everywhere. There are even cases of polio. Syria’s drugs industry in Aleppo was very successful. But now it has collapsed and diabetic patients must buy insulin and other medicine from countries nearby at higher prices. It is very difficult for countries with good healthcare systems to treat diseases. So it is hard to imagine how difficult it is for Syria now. 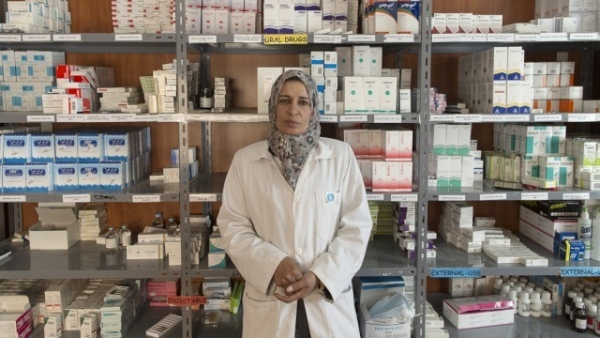 Syrian doctors are now thinking exactly how to make the system better again. Some are realistic but positive. Experts think that costs are now $300,000 per month for the treatment of accidents and injuries. It is double if you include treatment for serious diseases. But no one really knows how to pay for these costs in the future. Now aid agencies are helping with what Syria’s health ministry did before: salaries, medical teams, vaccinations and equipment. Leigh Daynes is Executive Director of Doctors of the World UK. He said that they have prepared emergency medical supplies . They include first aid kits, surgical material, equipment for delivering babies by caesarean section, and supplies to treat injuries from chemical weapons. He says the only problem is the fighting, which must stop immediately so that we can help everyone. Before the war Syria had a very good private and public medical system. For example, deaths of new babies fell from 482 per 100,000 births in 1970 to 52 in 2009. 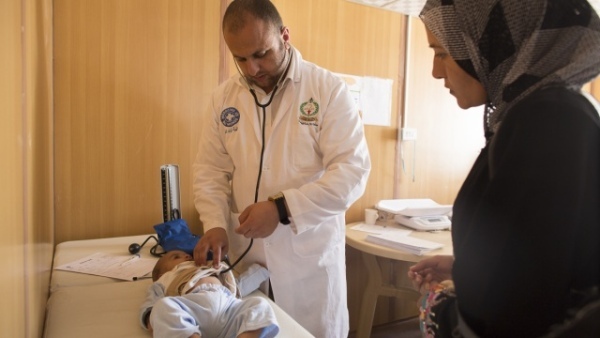 In the past Syria’s medical system could treat the diseases associated with rich countries such as diabetes, high blood pressure, depression, cancer and other serious diseases that are expensive to treat. This is making it even more difficult to treat Syrians inside the country, and the two million who have left Syria. Ron Waldman is President of Doctors of the World USA. He has visited the refugee camps. He says that thousands of people with serious illnesses are in the region’s refugee camps. These patients need treatment with expensive medicines. So, what’s the answer? The war must end before the medical system can be made better. Aid agencies and governments must make plans to treat the sick and injured over the next few years. More medical and financial support is needed to be sure to help everyone now and in the future. ‘The planning needs to start now,’ says Ron Waldman. He says that if the fighting does not stop, we may see that the problems we have now are only the beginning. In the future perhaps there will be shorter lives for the Syrian people. This page was last edited on 12 November 2013, at 23:35.